Durango’s recent — and early — snowstorm is a great reminder that ski season is just around the corner. 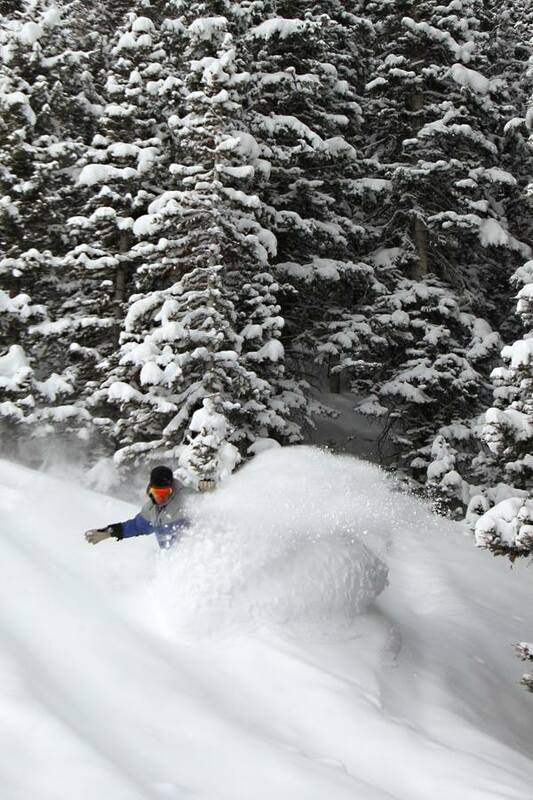 Get a face full of powder at Durango Mountain Resort. Durango Mountain Resort, formerly known as Purgatory, will open for the season Nov. 29. Season passes are available now, at a cheaper rate than in-season prices. Benefits of season passes include no blackout dates and free skiing at partner resorts: Loveland Ski Area, Taos Ski Valley, Sunlight Mountain Resort, Brian Head Resort, Monarch Mountain, and Powder Mountain. Also new this year, season-pass holders can enjoy savings at select Durango-area businesses. Renowned for its world-class mountain biking and kayaking, Durango also happens to be a vibrant, family-friendly ski town—perhaps the most affordable in Colorado. On the edge of the Four Corners region and surrounded by the mighty San Juan Mountains, this Old West railroad town of 17,069 has blossomed into one of America’s adventure sports capitals. As you stroll past the eateries and craft breweries of downtown, a National Historic District, you’re likely to rub elbows with world-class athletes, but you’d never know it. Unlike some Colorado ski towns (you know who you are) there’s no hype here. Whether you’re here to bike (45 minutes away even in winter), fly-fish, ride the historic and vertiginous Narrow Guage railway, ice climb, or ski, Durango simply delivers the goods. Twenty-seven miles up Highway 550 is Durango Mountain Resort, née Purgatory, a family and intermediate skier’s dream hill, with 88 runs, ten lifts, five terrain parks, and a seemingly endless supply of groomed rollers for catching flight. Its 260 inches of snow per year may lag behind Colorado’s deepest, but it also translates into more sunny days than almost any mountain in the state. After all, you’re only a gallop away from the desert. A splash of new expert terrain in 2009 opened up some expert tree skiing, but most big mountain skiers and boarders eager to hurl themselves down ungroomed Alpine slopes will want to head to Silverton, 55 miles up the road. Or check out the San Juan Skiing Co., based at the resort. It has the most acreage of any cat-skiing operator in Colorado. While you’re planning your skiing or snowboarding trip to Durango, keep in mind that Durango Quality Inn is a short drive from Durango Mountain Resort, and our hotel is an affordable option that’s in the center of town for all your apres-ski activities. Book your room with us today!